The asset forfeiture laws in Florida may be used by Federal or State law enforcement to seize property, vehicles, cash and other assets. If law enforcement has seized or are trying to seize your assets, consult with a forfeiture attorney immediately. Once property or cash has been seized, the time you have to fight the seizure is limited. At Tassone, Dreicer, & Hill, we provide extensive experience with asset forfeiture cases. Contact us today and find out how we can help with your case. Asset forfeiture is used when a case involves a drug offense arrest in the state of Florida. It may also be known as civil forfeiture, which allows law enforcement to seize any property, cash or assets connected to illegal activity. The state cannot seize property without first establishing that the property is contraband, is instrumental to a crime or was the proceeds of a crime. Property cannot be considered instrumental to a crime without being intended or designed to have been used or being used to commit a criminal offense. For example, a getaway vehicle from a bank robbery may be seized by law enforcement. The process of asset forfeiture is governed by the Florida Contraband Forfeiture Act, found here. After law enforcement has seized your property, you have the right to file a written request for an adversarial preliminary hearing. This request needs to be filed with the City or County Attorney within 15 calendar days of receiving the notice. If you want your property returned, an adverse preliminary hearing is one of the most effective ways to get it back. It asserts any defense you have in the case. Owners of property do not take action quickly and the state or federal government takes the property without any fight from the owner. In the state of Florida, vehicle forfeitures are very common. Law enforcement may also seize cash or other property. While asset forfeiture is difficult to challenge, a skilled attorney may be able to force the State to meet the burden of proof. 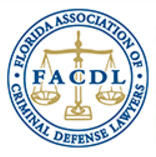 It may also be possible to challenge the application of the forfeiture statute in Florida. Forfeitures are considered to be a harsh punishment, which means they are strictly construed and the state must meet its burden if forced to do so. If the property seized was a home, it's possible to challenge the constitutionality of this type of forfeiture under Article X, Section 4 of the Florida Constitution protecting homesteads. The best thing you can do after a property has been seized by federal or state law enforcement is to hire an attorney with experience in asset forfeiture cases. At Tassone, Dreicer & Hill, we provide extensive experience dealing with asset forfeiture cases. 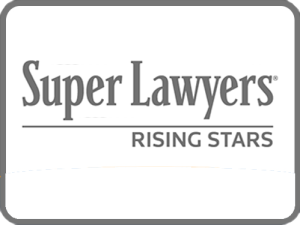 Call us today to find out how having a skilled attorney on your side can make a difference. Contact The Law Offices of Tassone, Dreicer & Hill today or call us at 904-396-3344.